The 34-year old entertainer was a guest on ‘Da Chat’ show produced by HF TV and lost her temper after the interviewer asked her about her unconfirmed smoking and drinking habit. Zinnia, the host, asked her: “There has been a controversy about you in the industry, I don’t think you know about it. 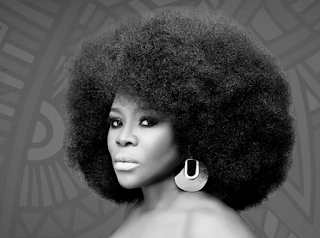 The question did not go down well with Omawumi as she visibly lost her temper and gave the host a piece of her mind. “I won’t honour you with a response, I feel that it is a taint to my character. Have you seen me smoke before?” she asked the presenter who said she had not. “Then why would you say that, have you seen me smoke before? “Now you see me as an artiste, I contribute what I can; I produce music the way that I should and I come here and honour your invitation and then you sit down and talk about my smoking and drinking to people that are listening and you are supposed to mean me well. “When these people are supposed to be the ones buying my music; now when you say that sort of thing, do you mean me well? “You can not ask me to kill a rumour that you are not sure about, you have said it’s a rumour so you need to go and dig and get your facts right before you ask me. After the Warri-born songstress left, the host admitted that the interview did not go as planned but maintained that she meant no harm to Omawumi.